You have selected the Transit visa. UK transit visas are issued for an initial 6 months and grant multiply entry permission to stop over in the UK during that 180 day validity. The Direct Airside visa will only allow you to wait in a UK airport (within 24 hour departure) and the Visitor in Transit visa grants permission to change airports (within 48 hour hour departure). These transit visas suits candidates who stop over in the UK for a few hours to catch a connecting flight on route to another destination. Please note that with a Direct Airside Transit visa, you may not pass through the UK border (and enter the UK). Should applicants wish to visit the UK during their stop over, they are recommended to consider applying the general visitor visa. If applicants have valid visas for the above listed countries and are stopping over in the UK for a few hours, they are exempt from needing a Direct Airside Transit visa and qualify for the TWOV (Transit Without Visa) concession. To help explain the process, we have taken the liberty to give a 12 step breakdown in UK Transit visa applications. 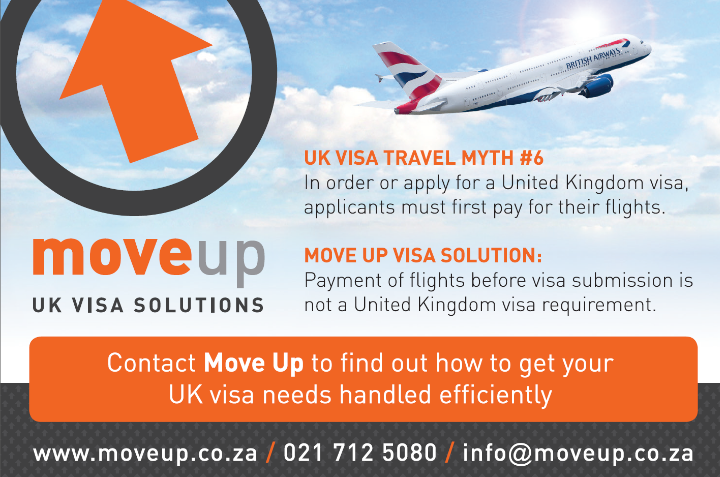 -> Explanation of how UK transit visas work in SA. 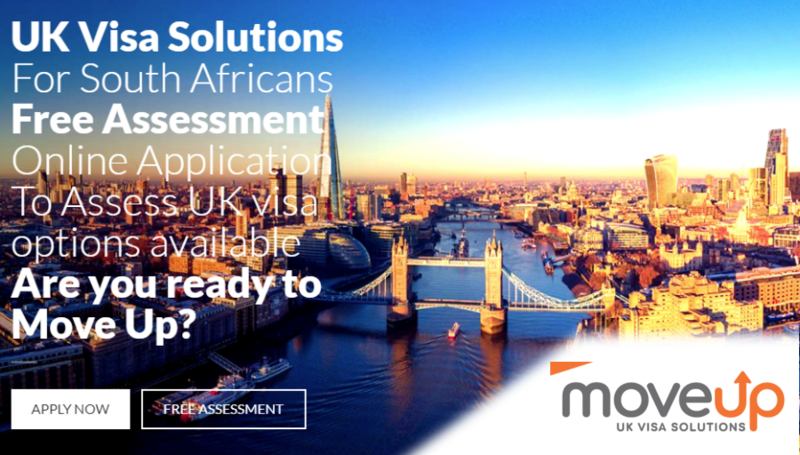 -> Options for South Africans with short stop overs in the UK. -> Direct Airside Transit Visa for South Africans. -> Visitor in Transit Visa for South Africans. 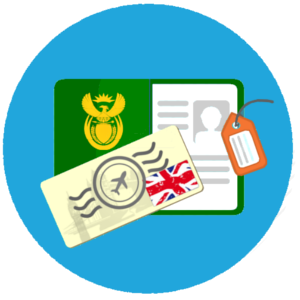 -> UK’s tourist visa for South Africans. Attached below is a breakdown of the different UK Transit visa validity periods. These costs serve to demonstrate the standard expected costs. There are optional additional costs for other value added services, such as fast track. To find out more about the fast track services, Move Up is best able to assist. i. Proof of proposed transit arrangements. ii. Proof of intent to honour the visa rules. iii. Proof of need to return to SA at the end of their trip.